Memorial Day often kicks off the outdoor living season. 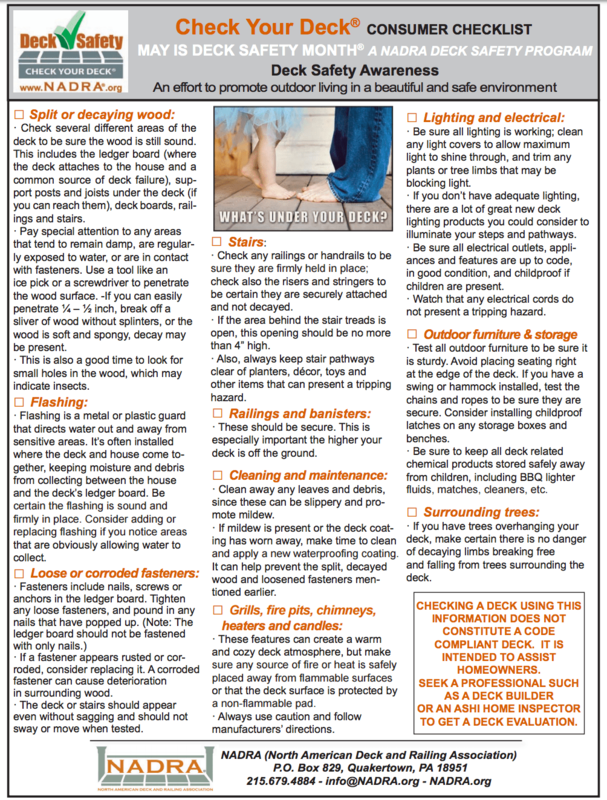 Please take a moment to review some general guidelines for deck safety so that you can grill and enjoy cocktails with no worries all summer. These tips are provided by the North American Deck and Rail Association, which promotes deck safety awareness by recommending inspection and maintenance. If you find concerns upon inspecting your deck, be sure to seek a professional opinion from a deck builder or home inspector.